Here's a half-page House Ad with the aforementioned boomerang from the EAGLE. 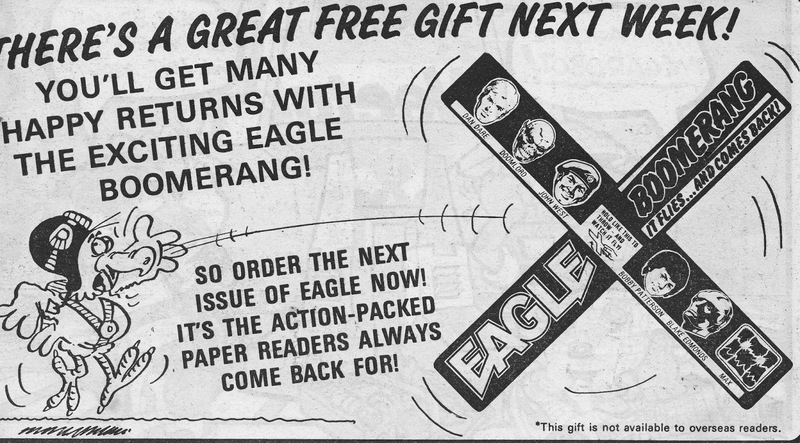 The add appeared in issue 204 (15 February 1986) followed (ha!) by the freebie itself the following week. Unfortunately, my copy of the flimsy punch-out cardboard insert (which I vaguely recall was red) was lost decades ago... but it did fly (albeit not very well), however briefly.